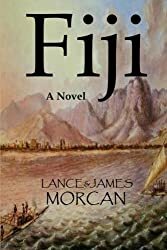 You are invited to enter our Goodreads giveaway competition to win a copy of the paperback edition of Fiji, another action-packed historical adventure novel by Lance & James Morcan, co-authors of White Spirit and Into the Americas. Entries close September 1. (All countries, or almost all countries, eligible). 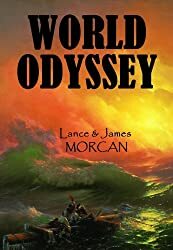 Set in the nineteenth century, World Odyssey (The World Duology, #1) follows the fortunes of three young travelers as each embarks on an epic journey. 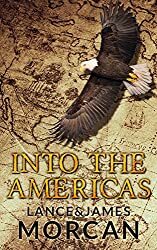 Their dramatic adventures span sixteen years and see them engage with Native American Indians, Barbary Coast pirates, Aborigines, Maoris and Pacific Islanders as they travel around the world – from America to Africa, from England to the Canary Islands, to Australia, New Zealand and Samoa. Alone in his father’s study, young Philadelphian Nathan Johnson surveyed the lavishly furnished but slightly musty room. His keen eyes rested momentarily on the titles of some of the hundreds of books lining the shelves behind his father’s desk. Many had a nautical theme, alluding to the occupation of the absent Captain Benjamin Johnson. The boy never tired of being in his father’s study and often ventured into it even though Johnson Senior had made it clear the study was out of bounds whenever he was away. Although physically absent for the moment, his father was present in a sense: a recent portrait painting of the forty-year-old captain hung on the far wall. Dark, curly, shoulder-length hair framed his unsmiling but still youthful face. The ruggedly handsome Johnson Senior had the appearance of someone who didn’t suffer fools. His startlingly blue eyes seemed to bore into Nathan’s as the boy studied the painting. Nathan couldn’t know it, but he was looking at a mirror image of himself in later years. Even at the tender age of ten he was already a chip off the old block. Tall for his age, he was more mature than his schoolmates, and more serious, too. Sounds of children’s laughter drifted in through an open window. His two older sisters and their friends were making the most of a sunny day after several days of constant rain. From the kitchen downstairs, the clink of crockery could be heard as the maid cleared away the breakfast dishes. Nathan switched his attention to a faded world map hanging alongside the painting. A dotted line connecting North America’s west coast and the coast of mainland China showed where his father had journeyed on his latest expedition. Johnson Senior was a successful trader whose latest enterprise had involved trading goods to the Native Americans for their prized sea otter furs. He had transported those same furs to China where they fetched huge prices. The thought of sailing to some exotic destination thrilled Nathan to the core. He lived for the day he was old enough to go to sea. Meanwhile, he contented himself studying the world map and dreaming of far-off places. So engrossed was he, he didn’t hear his father arrive home from town. It wasn’t until the study door burst open and Johnson Senior strode in that Nathan realized he was in trouble. When Johnson Senior saw Nathan, he turned livid. He grabbed his son by the hair and began cuffing him hard about the head. Johnson Senior’s mood wasn’t helped by the fact he’d been drinking and gambling since the previous night, and had lost a considerable amount of money. As a man of means, it was money he could afford to lose, but that hadn’t helped dampen his already foul temper. Nathan could tell his father had been drinking. 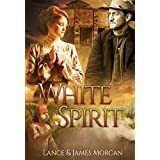 He could smell the whisky fumes on his breath, and Johnson Senior was unsteady on his feet and slurring his words as he cursed and beat the son he wished he’d never had. Determined to remain staunch, Nathan bit his lip to stop from crying out. This further infuriated his father who removed his belt and began flailing the boy with all his considerable strength. The belt’s buckle cut into Nathan’s bare arm and drew blood. As Nathan covered up as best he could to protect himself, he fixed his gaze on a portrait painting of his mother hanging on the near wall. It gave him strength. The painting was the work of one of Philadelphia’s leading artists and it captured pretty Charlotte Johnson as she was in her early twenties. There was a quiet determination in her sparkling brown eyes. Charlotte was the mother Nathan had never known for she had died giving birth to him ten years earlier. The beating ended as quickly as it had begun when Johnson Senior pushed the boy from the study and slammed the door shut after him. Now alone at the top of the first floor landing, Nathan swore he’d run away from home as soon as he was old enough. At that very moment, across the Atlantic in England, little Susannah Drake was playing with dolls and other girlie things while watching two white swans that had taken up residency in the lily pond behind her Methodist clergyman father’s rectory in the affluent west London district of Kensington. The cute, red-headed, six-year-old closed her eyes to protect them from the bright sunlight reflecting off the pond’s surface. When she reopened them, one of the swans had paddled to within an arm’s length of her at the pond’s edge, causing her to jump back in surprise. Swan and child stared at each other for a second or two before the majestic bird paddled off to rejoin his mate. On the lawn behind Susannah, her father Reverend Brian Drake was chatting to visiting members of his congregation while her mother, Jeanette, served Devonshire tea. It was a very English scene. Jeanette, a pretty but frail woman, called out to Susannah who promptly skipped over to join her parents. Jumping up onto her father’s knee, she licked the strawberry jam off one of her mother’s famous scones as Drake Senior talked to the other adults. 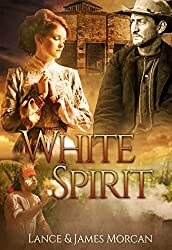 Susannah amused herself as the conversation turned to the missionary work the Methodist Church was engaged in, in far-off places. Drake Senior expressed a desire to become a missionary one day. Jeanette didn’t seem to share her husband’s enthusiasm for missionary work and quickly changed the subject. Finding the adult conversation boring, Susannah jumped off her father’s knee and ran back down to the lily pond. She laughed delightedly when the two swans paddled to the pond’s edge to greet her. Her laughter turned to screams as one of the swans waddled up onto the lawn and proceeded to chase after her, hissing. It seemed the swan was intent on securing the remains of the scone Susannah was still holding. Chuckling at his daughter’s predicament, Drake Senior advised Susannah to give the swan what it wanted. Although frightened, Susannah refused to back down. She rammed the remains of the scone into her mouth and shooed her tormentor away. Beaten, the swan gave up and waddled back to the pond. The adults laughed and commented how cute Susannah was. Drake Senior and Jeanette observed their daughter with pride. Not for the first time, she had demonstrated that, despite her angelic appearance, she was not easily intimidated. Several miles away, in southeast London, sixteen-year-old Jack Halliday was traipsing from door to door looking for work in the capital’s busy dockyards. The Cockney’s spirits were uncharacteristically low. Since his mother had kicked him out of the family home two weeks earlier, he’d been job-hunting without success. Back in the East End, Jack had a reputation for being a lovable larrikin. 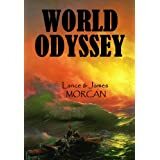 Shorter than average and not especially good looking, the curly-haired lad nevertheless had a mischievous face and engaging personality which generally endeared him to others. Generally because his cheeky manner ensured he had his share of enemies too. Any who underestimated him did so at their own risk. He never took a backward step and he compensated for his lack of height by fighting with all the fury of a pitbull. The shadows were lengthening when Jack arrived at Sullivan’s Foundry, a large establishment next to the River Thames. Having experienced around twenty rejections from prospective employers that day, he had to force himself to adopt his normally cheerful disposition as he entered the noisy foundry. The fact he hadn’t eaten in two days gave him extra motivation. He desperately needed to earn some money. If he didn’t land a job soon, he knew he’d have to find money via other means. Approaching the front office, Jack was suddenly confronted by a big, bad-tempered man who demanded to know what he wanted. The young Cockney guessed, correctly, the man was the foundry owner, Henry Sullivan. When Jack explained he wanted a job, Sullivan advised him he wasn’t in the habit of employing runts and ordered him off the property. Jack stood his ground, his perceptive green eyes flashing with anger. The look wasn’t missed by Sullivan who decided to put him to the test. He’d recently laid off an apprentice blacksmith who hadn’t measured up, so Jack’s interest in a job was timely. Pointing to a thirty-foot long steel shaft resting on the floor nearby, Sullivan challenged the young Cockney to lift it up onto a shelf that was just above Jack’s head. Without hesitating, Jack bent down to lift the shaft. He suddenly realized every eye in the foundry was on him. Taking a deep breath, he managed to straighten up while holding the shaft, but when he tried to lift it up onto the shelf it fell to the floor with a mighty clang. Several onlookers chuckled at his misfortune. Unimpressed, Sullivan turned his back on Jack and returned to his office. To the surprise of those still watching, Jack prepared to make another attempt. This time, he put everything into it and, to the resounding cheers of the assembled, managed to hoist the steel shaft up onto the shelf just as Sullivan re-emerged from his office. Suitably impressed, the proprietor immediately hired Jack as an apprentice. Mindful of the hunger pangs that were now causing frequent tummy rumbles, Jack tried to negotiate his first week’s pay in advance. Tightwad Sullivan agreed to pay him two days in advance on condition that he put in some extra hours unpaid. Jack reluctantly agreed. At least now he could afford a square meal. Jack Halliday, Susannah Drake and Nathan Johnson had no way of knowing their paths would cross one day; their destinies were integrally linked. 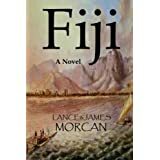 Fate and the unfathomable twists and turns of life would eventually throw them together on the far side of the world in a place some called the Cannibal Isles.